Greetings to all and thank you for reading my first official Matchbox Ambassador’s report. I might not be posting every week but, I will do my best to get these reports out in a timely fashion. A lot of product was shown at the Gathering this July, so there are no new pictures from Mattel this time around. I’ve been promised that when something is available, photos will be passed onto you. All images and stories within this report are published with the permission and consent of The Matchbox Team and Mattel. 1. Are there any thoughts on having another Line Preview sometime in the future? 2. 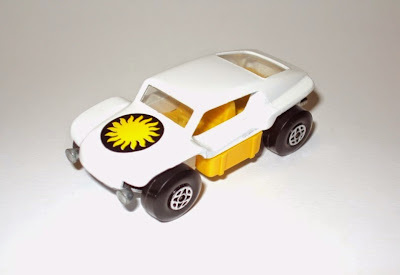 When is Toy Fair and is there going to be a special model to look for? It is in November and we will have a model for this. 3. 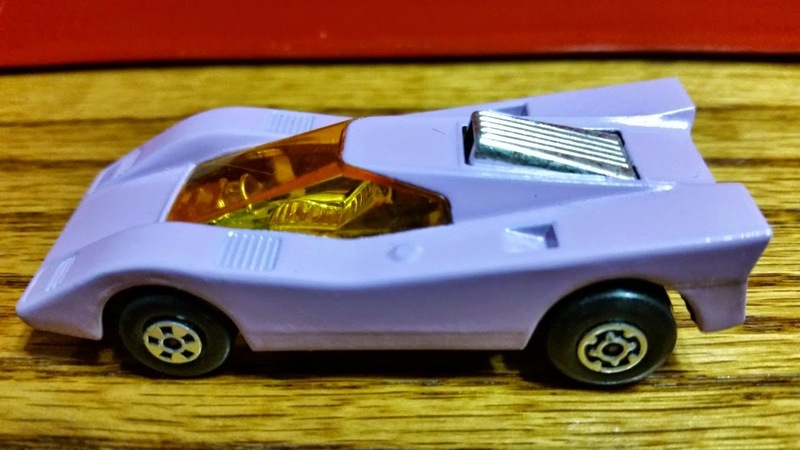 Is Matchbox making a model for Dream Halloween this year? 4. When will the collector’s poster be available to print out and how will it be structured? Will it be a group picture of all models together or individual shots of each model? And lastly…. Will there be a checklist? The digital poster will be available in the fall but we can’t discuss the content yet. 5. It was noted at the Gathering that you gear your presentation to just boys. When in fact there are girls who collect as well. Is there any chance of designing models that would appeal to girls as well? Since we are a boy’s brand, our main focus is designing models that appeal to them and the way they play. While we are aware that girls collect as well, there are still a higher percentage of boys that collect our product so we design accordingly for this. 6. 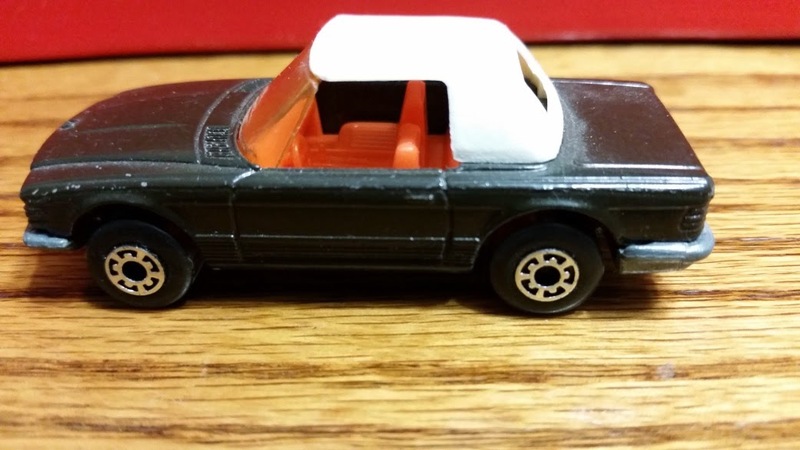 Being a unique car, how will the Presidential Motorcade – Cadillac One ever be recolored? We will refresh the model in the future by selecting colors that are most suited for limousines since Limos can be seen in colors other than just basic black. 7. 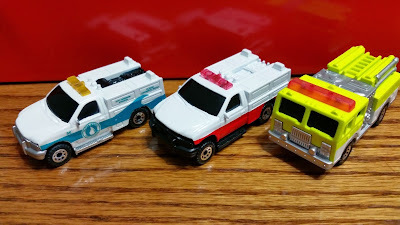 With the return of a Ford Cab to the lineup, are there any thoughts of bringing back the Convoy Series? Having one in a Mission Force Set would be a good start! We are not sure if Convoy Series will return. We just thought it would be fun to make this truck cab compatible with previous Convoy trailers. 8. It was mentioned that there will be 125 models next year in the basic core line. How many will be recolors? 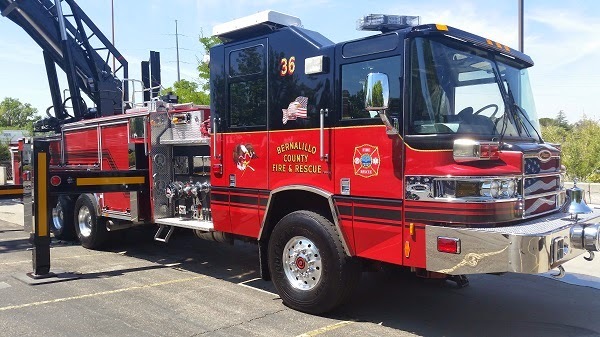 We usually recolor 5 models as we did this year. 9. 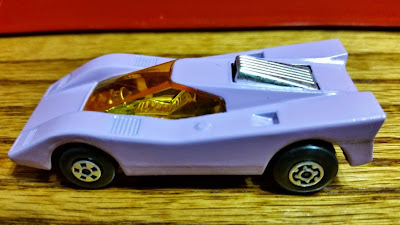 Will the mystery cars come on blister cards mixed in with the regular issues? 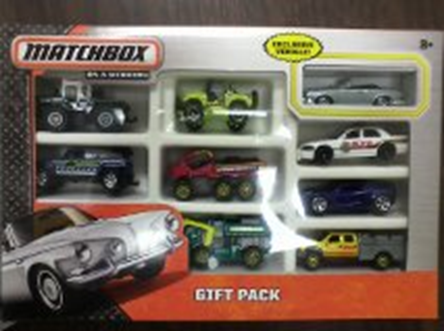 The mystery cars will be sold in sealed plastic bags instead of blister cards. 10. Also will they be part of the 125 releases or in addition to the regular issues? Models will be pulled from the 125 assortment but there will be 6 models with exclusive deco. 11. 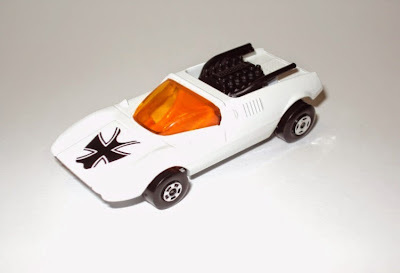 Will 5-Packs ever go back to all exclusive models or will they continue to have just one? 12. 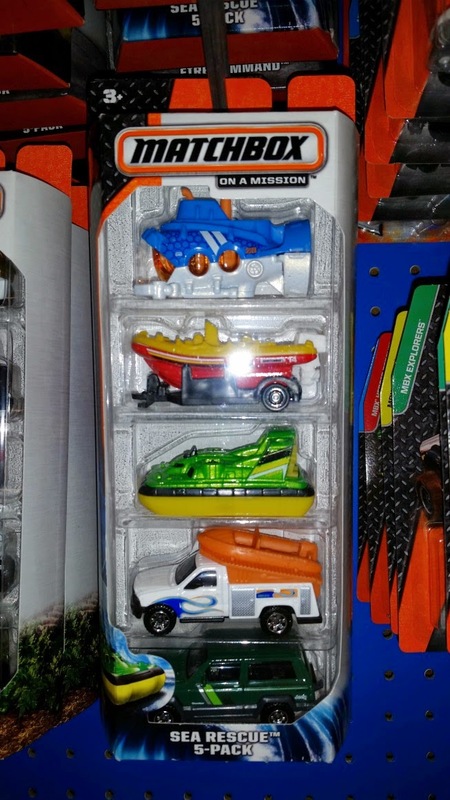 Are Mission Force Sets continuing into 2015? 13. Can we get any information on the following MAN numbers: MB927 MB928 MB929 MB930 MB932 MB936 MB937 MB940 MB941 MB944 MB945 MB946 MB951 MB953 …………………… this is assuming these are all updated castings for older vehicles. Your assumption is correct. These are all updated castings. Some are old and some are relatively new. This game is from my collection. I believe it was introduced in the early to mid 70’s. 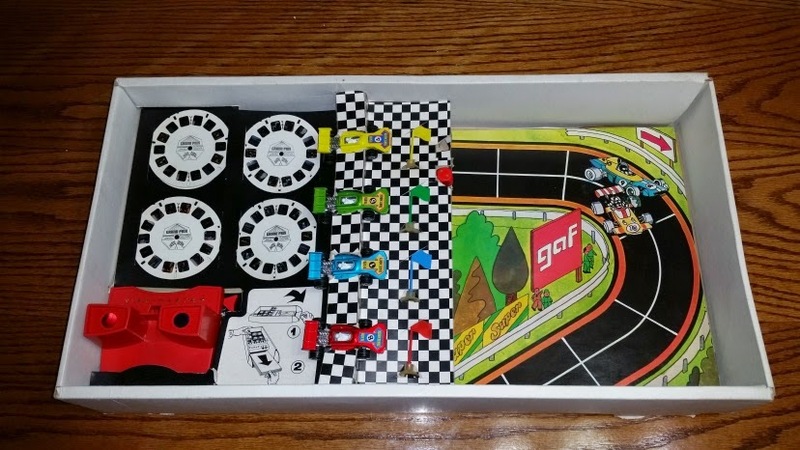 It features a large fold out game board and 4 very hard to find models. 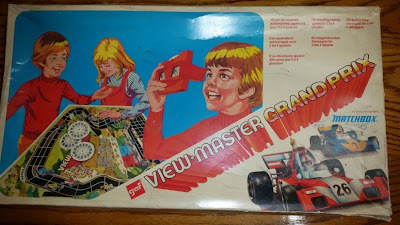 (Well maybe 3) This was purchased overseas on e-bay and is considered the rarest View-Master sets. The game is played on a Grand Prix circuit board, which slides out when you fold down the end flap of the box. The board then folds out to give a MASSIVE 4’ x 3’ playing area. Each player chooses a car and they line up on the grid, ready for the start. 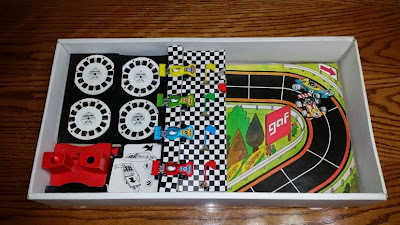 The dice are thrown and the cars move off around the track, one space for each number. I'm running on a limited budget so soon I found out that these are way too expensive for me. Feeling a little bit sad about this I try to find a solution. Soon after I was thinking: why not create my own MB Superfast variations? And so I started. They are as fake as can be but I enjoy the whole process very much. Going to swap meets searching for early Superfast models with good wheels is exciting and challenging. Thinking about which colors and decals - labels I will use can take sometimes several days. But the best part is for last when these little very beautiful gems are on display and I get that wonderful feeling of having something unique in my collection. It's a feeling I can't describe. 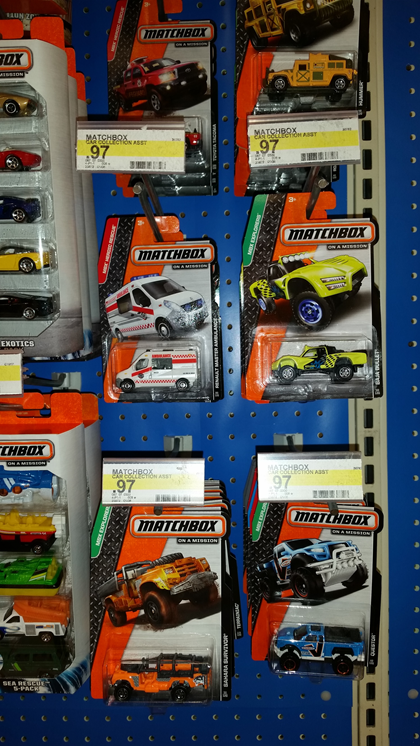 Guess not many Matchbox collectors are doing what I do. So, after reading your first Ambassador report I thought to myself: why not giving it a try and send an e-mail to the new MB-ambassador about my special way of collecting. Attached are some examples of my own created MB Superfast models. Ambassador’s Note: Thank you goes out to Fabrice for showing us his wonderful work. First pic is of a Mod Rod is snow white with a primer black engine and Flying Bug heart shaped label. 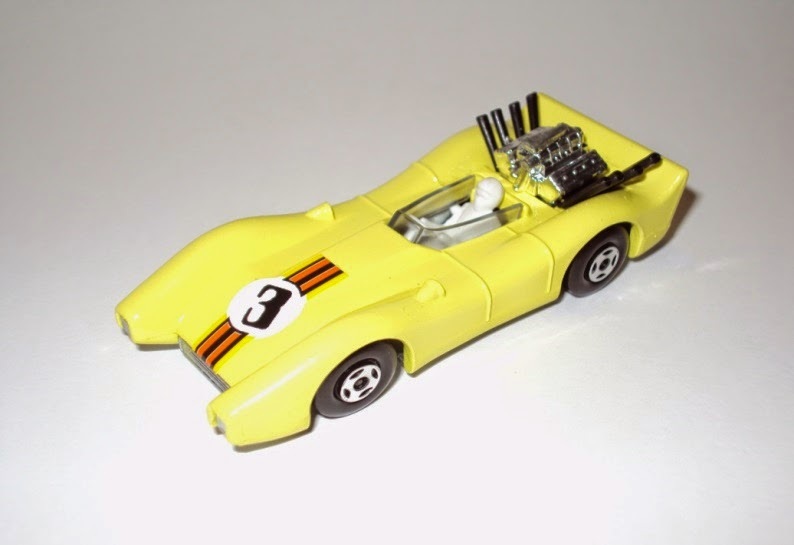 Second picture shows a Blue Shark in BP yellow with #3 Monteverdi Hai label. 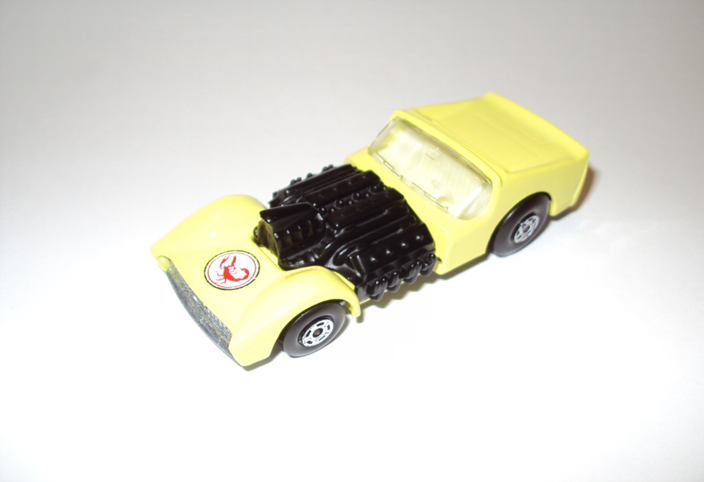 4th picture is a Road Dragster also in BP yellow with a primer black engine and scorpion label. The 9-pack & 5-pack were found at Target and the latest batch pictured above was found at Wal-Mart in the suburbs of Chicago!